Europe's northernmost country, the Kingdom of Norway is famed for its mountains and spectacular fjord coastline, as well as its history as a seafaring power. It also enjoys one of the highest standards of living in the world, in large part due to the discovery in the late 1960s of offshore oil and gas deposits. Norway's annual oil revenue amounts to around $40bn (£21bn), and more than half of its exports come from this sector. To counter inflation, spending of oil revenue was restricted. The considerable surplus is invested in a sovereign wealth fund, estimated in 2009 at $400bn. What to do with the money is one of the country's most contentious political issues. The centre-right want more of it to be used to fund infrastructure improvements, while the centre-left wants to keep it invested for future generations. 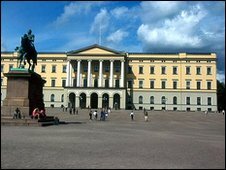 Norway declared its independence in 1905 when the union with Sweden was dissolved. Norway's people value their independence and prosperity highly. The Norwegians rejected membership of the then European Economic Community in 1972, and of the European Union in 1994, despite being urged by their governments to vote "yes". In recent decades, Norway has forged a stronger role for itself in international politics. It has mediated between Israel and the Palestine Liberation Organisation, and from 2000 to 2009 was the chief mediator in the conflict between the Sri Lankan government and Tamil separatists. Norway has a rich, sea-faring tradition and its lengthy, rugged coastline has been central to its development. More than a thousand years ago, Viking raids on the coasts of Britain and France were commonplace. The Vikings also mounted expeditions to the coast of North America. Later, the Norwegians began to trade. Originally, the coastal waters provided fish for export. Today, Norway is among the world's largest exporters of fuels and fuel products. Norway registered objections to the 1986 International Whaling Commission (IWC) ban on whaling and resumed the practice on a commercial basis in 1993. It argues that whaling is no more cruel than fishing and that stocks are sufficient to allow it to continue. Conservationists disagree. 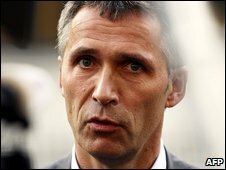 Labour Party leader Jens Stoltenberg took office as prime minister in a centre-left "red-green" alliance with the Socialist and Centre parties in October 2005, replacing a centre-right government. His coalition narrowly retained its majority in the 2009 election, becoming the first Norwegian government to win a second consecutive term in 16 years. The government's position was helped by the fact that oil-rich Norway was largely unscathed by the 2008 financial crisis. At the time of the 2009 election, the unemployment rate was 3% - among the lowest in Europe. Mr Stoltenberg won power on promises to increase spending on education, health and welfare, and to reverse the tax cuts proposed by the previous administration. He vowed that the budget policy would abide by Norway's strict rules on spending oil revenues. He also gave his backing to limited oil exploration in the Arctic. His government withdrew Norway's very small contingent of troops from Iraq but promised to increase the country's profile in UN peacekeeping operations elsewhere. Mr Stoltenberg, an economist, was 46 when he took office. He was prime minister for the first time from 2000 until 2001. Private broadcasters have substantial audiences, competing with public NRK for listeners and viewers. The Schibsted group, publisher of Aftenposten and the mass-circulation VG, is one of Scandinavia's largest media concerns. Norway-based Telenor is a leading Nordic broadband, telecoms and satellite TV provider. Digital television via cable and satellite offers a wide range of specialist channels. Norway has completed the switch from analogue to digital terrestrial TV. Norwegians are among the world's keenest newspaper readers. The number of titles is impressive, given the small population. Most of the press is privately-owned and openly partisan. Press freedom is guaranteed by the constitution and public radio and TV broadcast without official interference. By June 2010, 4.4 million Norwegians were online - nearly 95% of the population (InternetWorldStats).